4002 Obriant Place Greensboro, NC. 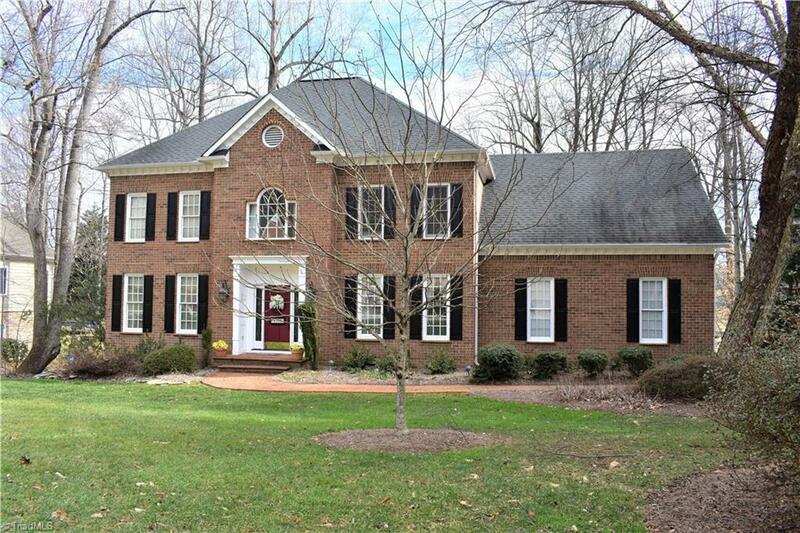 | MLS# 915901 | Greensboro Real Estate | Kriegsman & Associates Inc. Golf Course lot w/beautiful views. Great Kit. offers granite counter tops, under cabinet lighting, gas cook top, wall oven, built-in microwave, refrigerator & Butler's Pantry. Breakfast rm w/skylights. Den w/gas log FP & built-ins. Master Suite features trey ceiling, lg walk-in closet, spacious bath w/jetted tub, sep shower & double vanities. Walk up attic w/abundance of storage & potential expansion. Great views from one of two decks, upper 22x10 w/electric awning or the lower 10x10 deck w/seating.